She was the first queen of all things gorgeous and fashionable, and now her legacy is being revived by the historical French House of Lubin, which has discovered the formula behind the lush floral blend originally worn by Marie Antoinette. 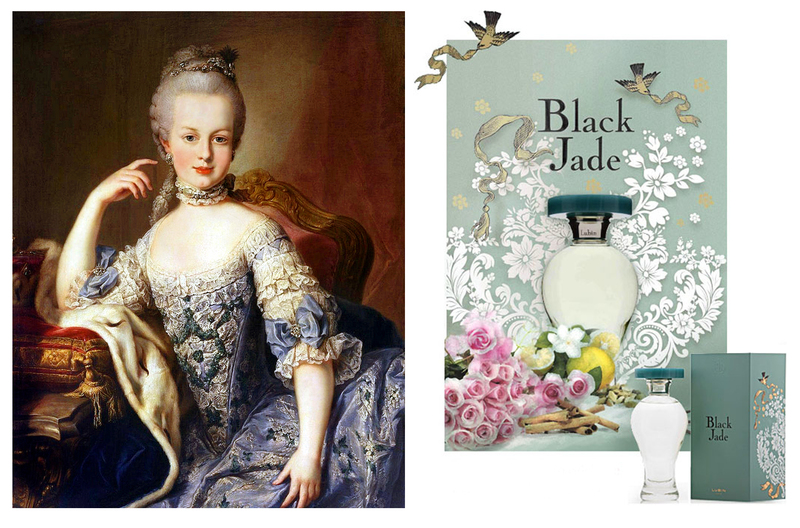 Created specifically for the queen by royal nose Jean-Louis Fargeon in the late 18th century, the rose, jasmine, bergamot, cardamom, incense, cinnamon, sandalwood, patchouli, tonka bean and amber spiked perfume was an ephemeral ode to her beloved Trianon gardens at Versailles. The mysterious concoction – a gift from Louis XVI to his young queen – was stored in a midnight-coloured jade vial, which the queen kept with her at all times, even during her imprisonment in the Temple Tower. It was the last treasure she coveted, finally slipping it to the Marquise de Tourzel, her closest confidant, just before her death. The original flask remains in the possession of de Tourzel’s descendants, safeguarded in the family’s Burgundy château. The secret formula, it is believed, was kept by Fargeon’s apprentice Pierre Lubin under the name Jardin Secret (Secret Garden) and has been the subject of much study by Lubin for years now. The perfume finally made its 21st century debut this year and its composition is replete with aromas of the royal garden: velvety notes of rose and opulent jasmine, spiced with cardamom, cinnamon and rich incenses. It has been baptised Black Jade and is priced at US$160 for 100ml and US$130 for 50ml of Eau de Parfum. History, romance, intrigue and beauty – this is definitely one to be treasured!